In his observations of wildlife, Monte appreciated the naked duality of extreme beauty and brutality that co-exist in the natural world. 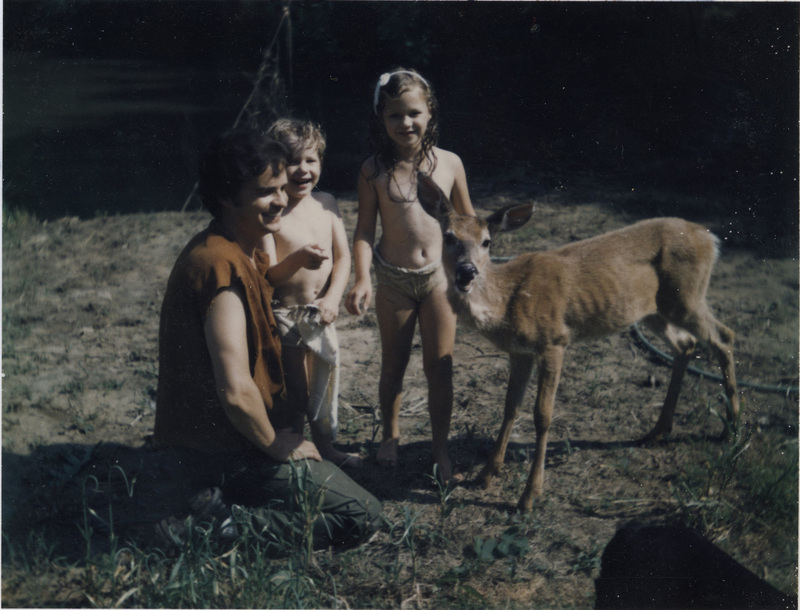 As mentioned before, his wife Sharyl often was critical of his viewing of nature programs depicting the harshness of the natural world. Arguments can be remembered where Sharyl would accuse Monte of having a visual-like bloodlust when watching these programs. Oddly, these nature programs mostly aired on public television. 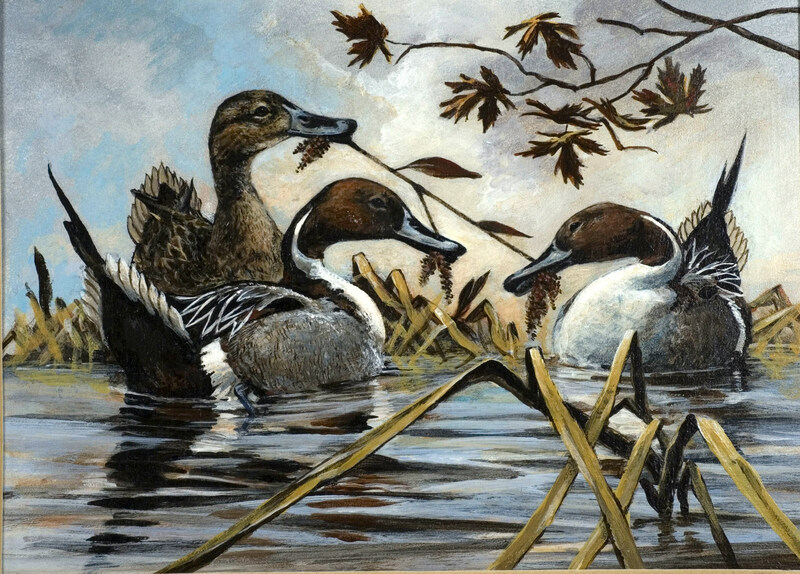 In Monte’s artwork, rather than natural predators being portrayed in the hunt for their prey, his pieces most often would portray conditions of the environment as the foe. Other works depict a raccoon seeking refuge in a leafless tree above river bottom flood waters or lone rabbit trekking through deep snow. 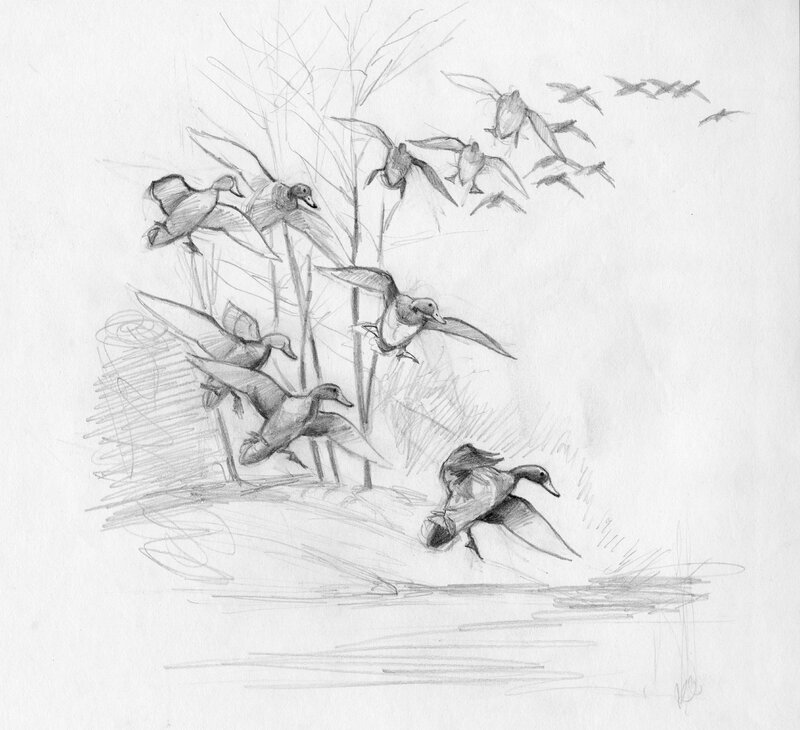 In the piece below, Monte depicts a flock of snow geese in flight in the middle of a storm. In the piece, he attempts to illuminate the foreground with rays of sunlight trying to break through the darkened clouds and impending storm. One thing Monte enjoyed was speaking with interesting and engaging people. The practice of conversation, often with men in drink, can be observed in pieces of his artwork. In Monte’s writings, be mused of the interesting conversations hunters would have had while sitting around the fireplace in the club house at Big Lake. Monte was quite apt in topics of a wide range. Of course, one of his most passionate and knowledgeable areas to discuss was that of the natural world. 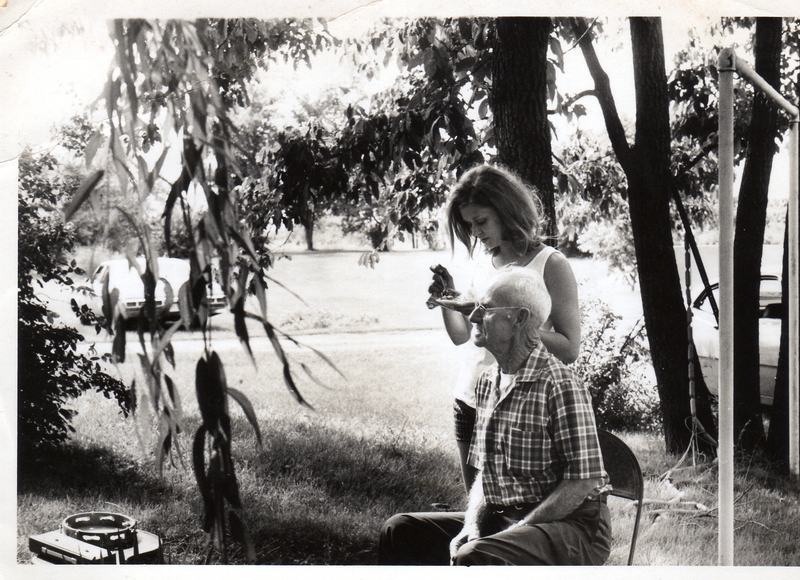 Often times, he would bring forth morsels of information involving the natural world not commonly known to others. Usually, there weren’t too many topics he would avoid, so long as they were kept interesting. In his later years, Monte, possibly because of the increase usage of spirits, tended to be somewhat of a provocateur in his comments and conversations. Some times these comments could be acerbic and not well received. When this did happen, typically the best defense would be to throw these verbal hot potatoes right back in Monte’s lap. Still, Monte would not be shy when a boorish lull appeared in conversation and would do what he could to liven the repartee again. 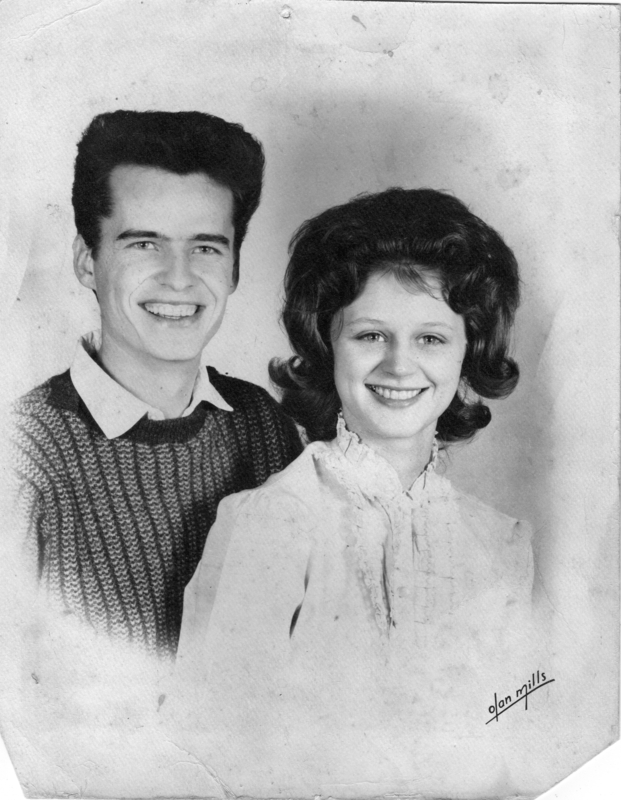 Monte’s wife, Sharyl, was known to collect furniture and preferable wooden antiques from a variety of places. Most often these items would be covered in ugly paint and she would strip the paint and refinish the items. Some where, it can’t be recalled, she found a wooden, reclining chair and Monte made it his own. Years later, Monte’s close friend Marv Robinson found him an almost twin to his favored chair. 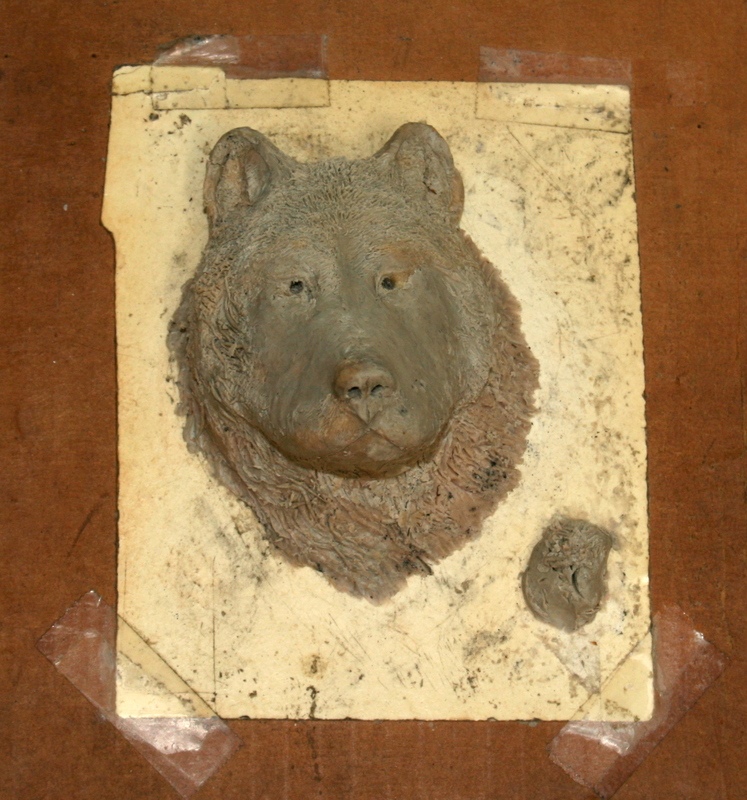 In the below picture, Monte sits in his chair and one can see the start of the clay elk inside the lid to the oak, grand piano once owned by the Monte Ellis family. 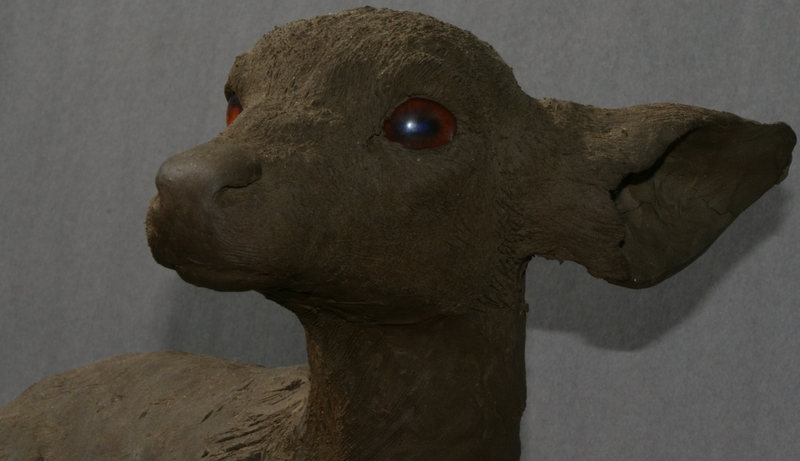 Monte later completed the elk and made a casting of the elk. In Monte’s final home, he was known to hold court in the kitchen of the home. Beneath his chair, the finish of the wooden floor had long been worn away from all the time he spent entertaining guests and playing music. Near the end of his life, in telephone conversations with his son, when asked what he had been doing, he would say “playing his music” and working on his final piece of artwork. 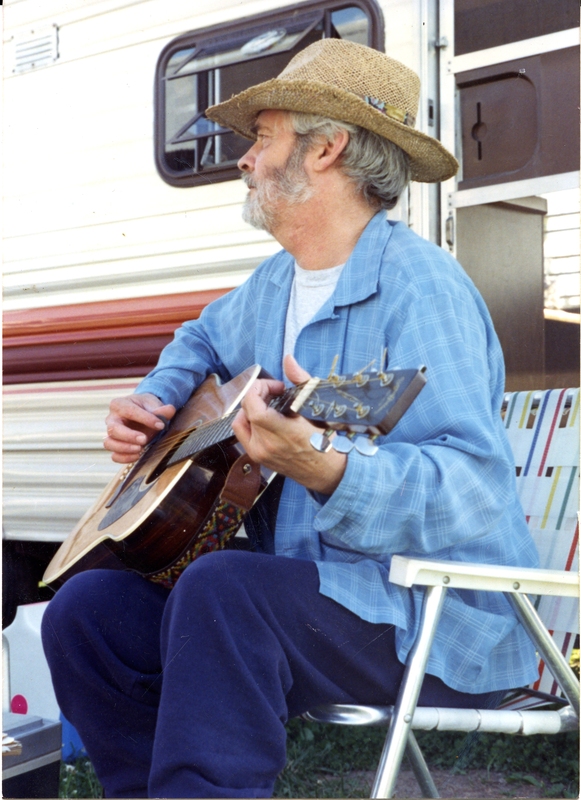 Monte was an adept musician with a preference for blue grass. For a long period of his life, he would play at public functions including that of taverns, benefits and old square dances at the Banner Township Hall. 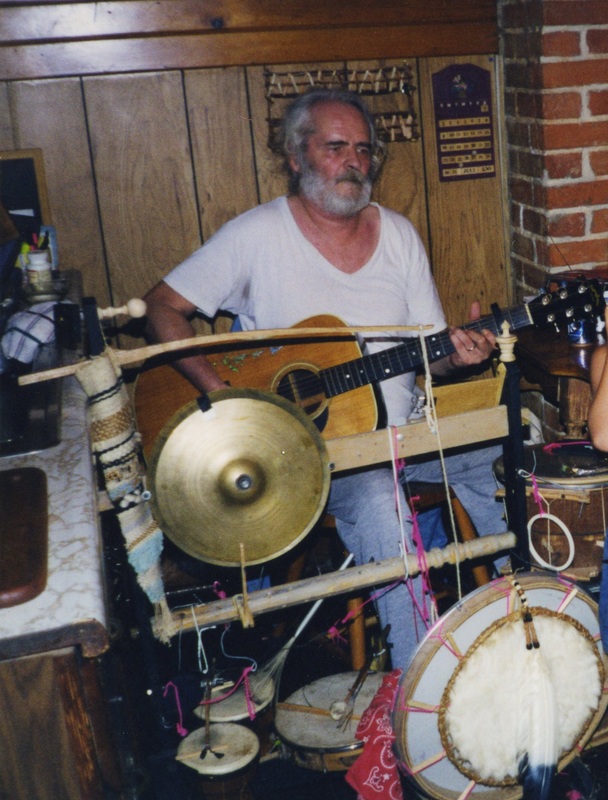 During the later years of his life, Monte did not play as often in the public, but would play music in his home by himself and with his own assemblage of a one-man contraption he built that included drums, a tambourine and a snare, used while he would play guitar and a harmonica. Years earlier while his own Grandpa Ernie, his mother Zelma’s father, was still alive, it would not be unheard of for the two of them to break out their instruments and play music while out in the Ellis’ Monterey, IL yard while standing beneath a large weeping willow tree while others relaxed on a blanket thrown upon the grass. Because money was tight in the Monte Ellis family while they were living down at Big Lake, it was not uncommon for Monte to trade up on musical instruments. One time in a fit of alcohol fueled anger, Monte shattered an acoustic guitar, possibly a Martin, in a room coined the “music room”‘ down at Big Lake. Sharyl held this over Monte’s head for quite some time when he expressed a desire to acquire another guitar. If memories are correct, during this period, Monte would have to borrow a guitar from someone else to be able to play. When it came to contemporary music, later in his life, Monte’s musical tastes changed by growing to enjoy more than blue grass. He was never a fan of people like Ricky Skaggs, thinking people like Skaggs were artificial and excelled during a period of fad-like popularity upon the backs of the masters that came before them. Those that Monte felt paid their dues, like Ralph Stanley and Del McCoury were more to his liking. Monte especially grew fond of musicians with an independent streak or artists that showed a great ability to maintain long, creative careers that refused to give into to simple age and presence of those younger that were nipping at their heels. While previously he was not a huge fan of Neil Young, one night Monte saw a live performance by Neil Young joined by Pearl Jam and relished how a much older man played rock and roll with more fervor than many of those much younger than he. People like Steve Earle also interested Monte, largely because through his music, Earle proved a fearlessness when it came to illustrating art is to provoke and engage emotion and mean something to those not only exposed to it, but those crafting it as well. Monte greatly appreciated any musician willing to metaphorically lift a hand and boldly raise a middle finger, such as when Johnny Cash refused to alter the lyrics for network censors when he sang the true lyrics of Kris Kristofferson’s Sunday Coming Down on live, national television. At one point Monte splurged on a Bose radio. This was most likely done one late night while drinking and Sharyl was not home because she clearly would not have allowed Monte to purchase such an expensive item. In the end, this was probably one of his better investments because up until his passing, he would often sit in his kitchen and either play his music or listen to music. 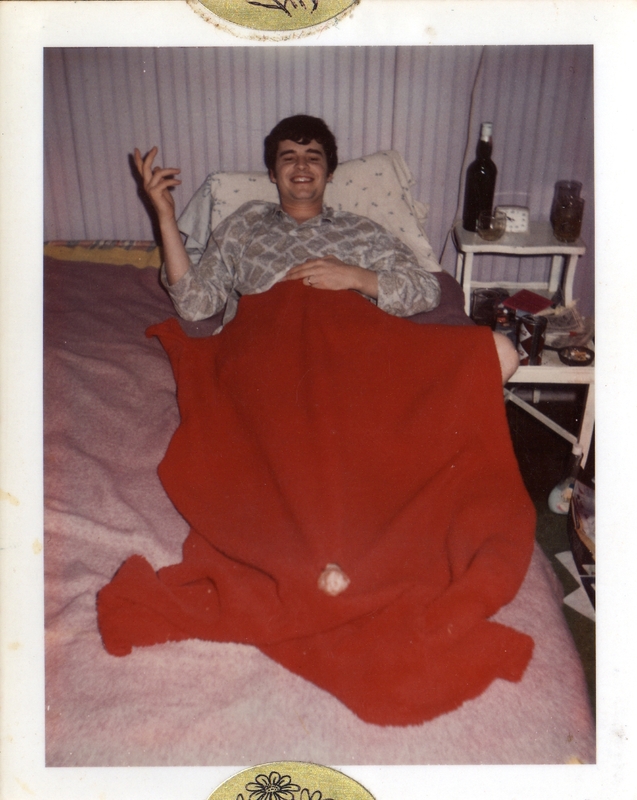 Monte was a psychedelic mixture of conflicting attributes. He could be kind, but nasty. Selfish, but generous. Hilarious, but frank. Engaging, but boorish. Caring, but aloof. Physically speaking, he was never a large, imposing figure, though, in many ways, strong in the more important qualities of a man. His health was certainly impeded by his use of tobacco, alcohol and a lack of exercise. Though he liked to provoke, his provocations dealt more with ideas of debate, culture and philosophy, while not those of hate or violence. Lacking in physical imposition did not mean Monte was with fear or without courage. Other than the metaphorical nemesis of the war on nature by man, Monte did have a human nemesis in possession of the most deplorable qualities that could ever be found in a man. 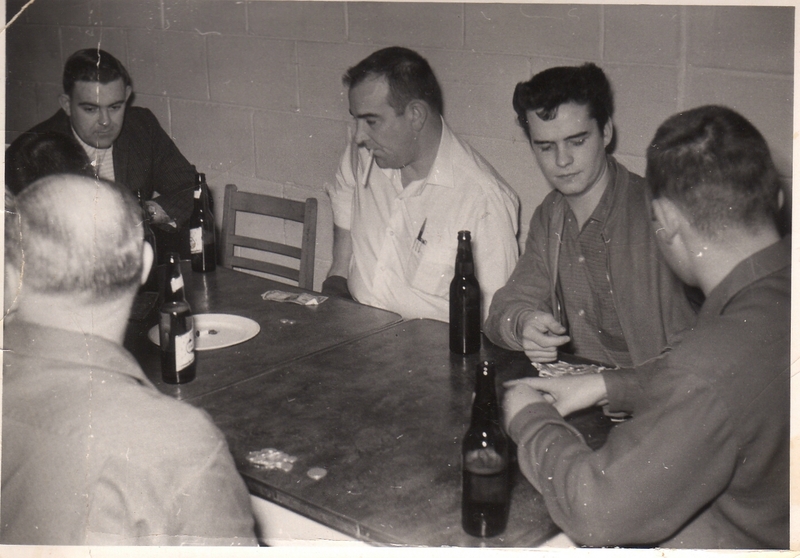 One night, when Monte was near the age of 65 or so, and imbibing in a local watering hole, his nemesis, a much healthier man, 20 years his junior, sat across the horseshoe shaped bar from him. Now, some may think Monte may have deserved such invitation, but sincerely, even more deserving, is that this nemesis, for years of brutality towards others, deserved such open ridicule and many would argue, even more so than this. To the shock of the others in the tavern, on unsteady legs, Monte stood up, walked to the door and held it open for the more youthful cretin in a show of sarcastic act of disrespectful courtesy toward the unknowing younger man. Not out of politeness, but instead out of fox-like cunning, Monte declined. He told his despicable opponent he would have to be the one to take the first shot to start the brawl and went on to describe to this bereft of intelligent thought bully what he really thought of him – all of it truly deserving. And so ended that night’s cowardly attempted take down by Monte’s nemesis. Because Monte did not keep detailed data on his artwork, many pieces not only have not been graphically documented, but neither has it been recorded who has purchased these pieces. 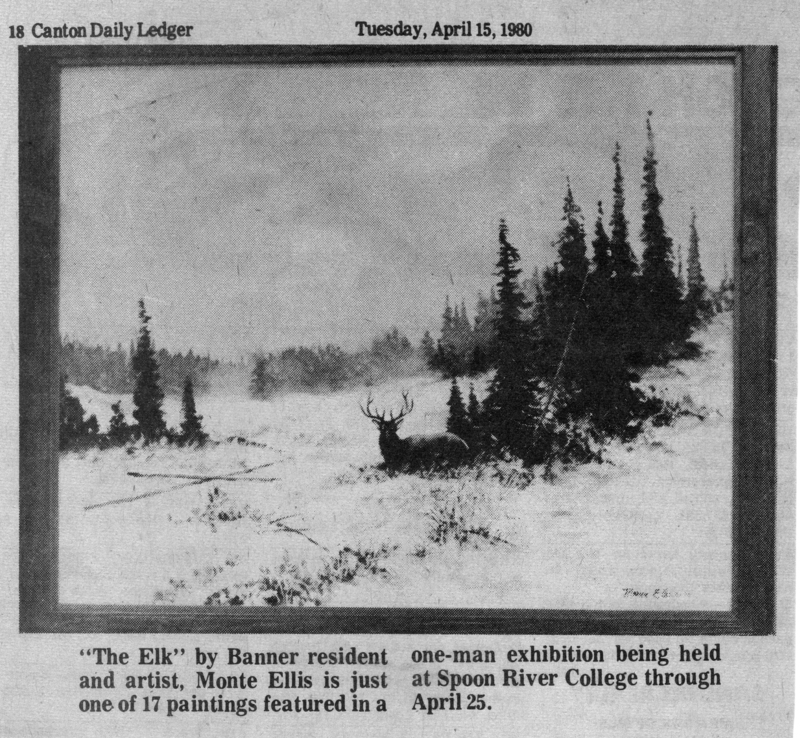 Below is a black and white photograph of Monte’s North American Elk painting as published in the Canton Daily Ledger in 1980. 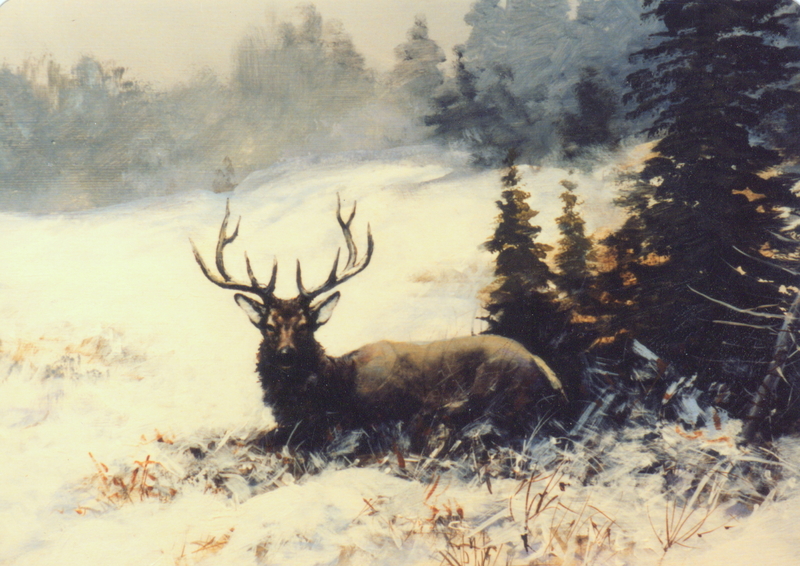 Below is a color photograph taken by Monte of the elk in the photo, but not of the entire painting. It is not known who purchased this painting. 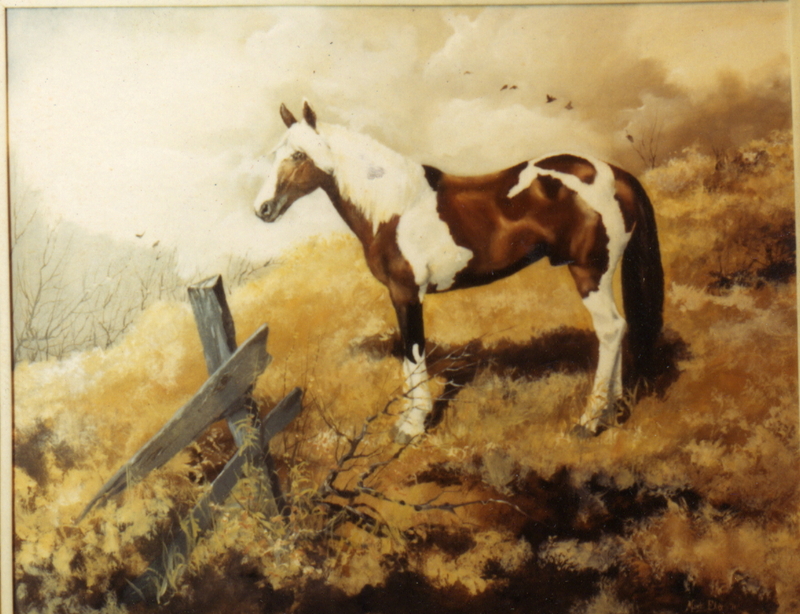 Below is an oil panting of a horse by Monte. The owner of this painting is also unknown. 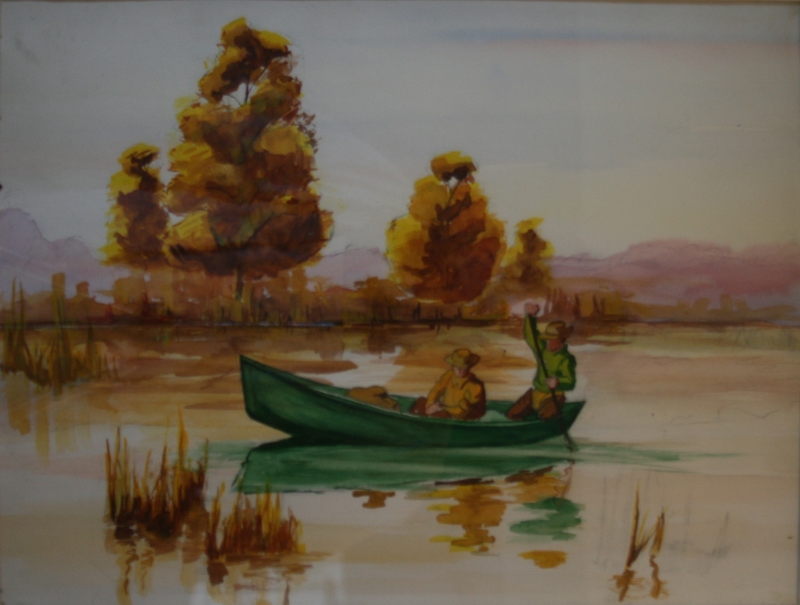 This painting has been previously published and as noted before, it most likely was completed when Monte was painting portraits for money. Monte was not that fond of producing pieces of domestic animals. Prior to his death, Monte remarked an area gallery possessed pieces of his work on a consignment basis, however, the art gallery had since closed and it’s remaining pieces sold and those spoken to stated they were unaware of such pieces. Monte never received remuneration for these pieces. 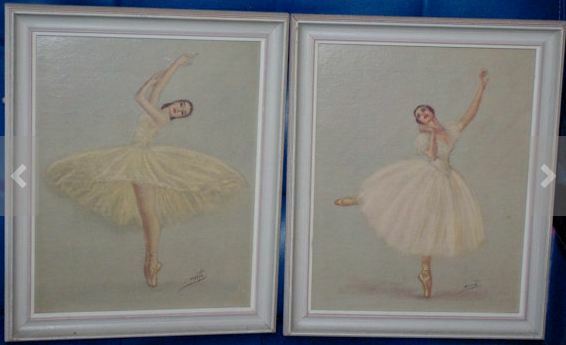 Above are three illustrations of a ballerina signed with “Monte.” The “Monte” that created these illustrations is not the same “Monte” as featured in this blog. Visitors to this site have inquired about these illustrations and particularly, of the value of such illustrations. Such knowledge is not known regarding these illustrations by the author of this blog. In earlier posts, previous images very similar in content have been posted to illustrate aspects of Monte’s recollection of mental imagery when later constructing his artwork. Below are two different illustrations that are remarkably similar. Only suppositions can be made regarding these occurrences. One might be that for some reason or another, Monte might have disliked how one illustration was developing and set it aside to start over with the imagery he wanted to create. 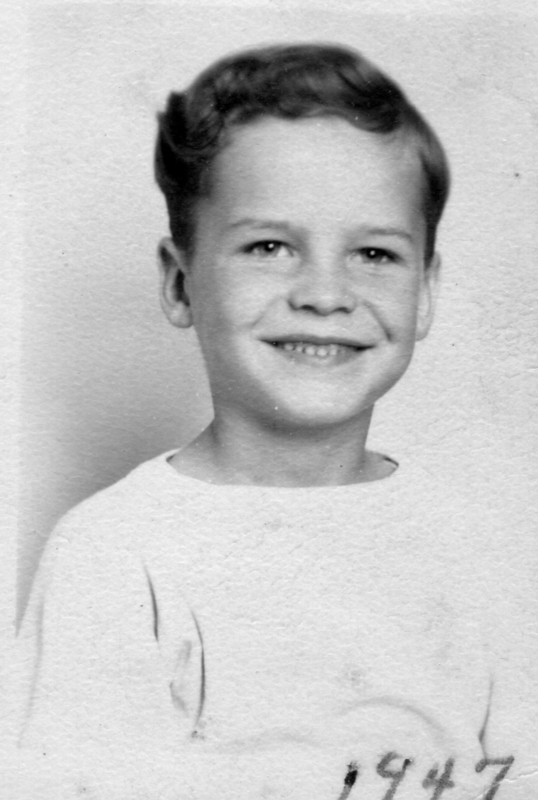 Monte was born on July 23, 1939 to an exceptional set of parents. 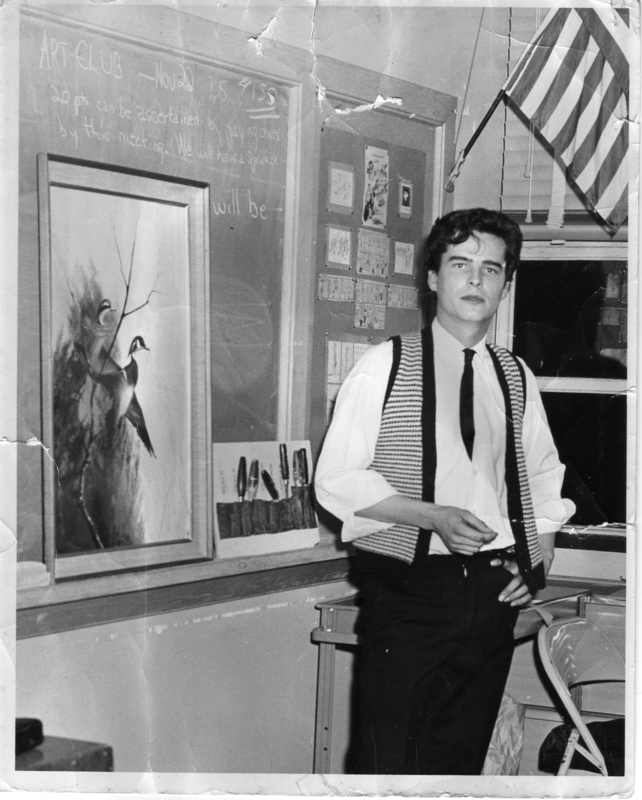 Certainly, it did not take long to discover this boy possessed a talent for art. 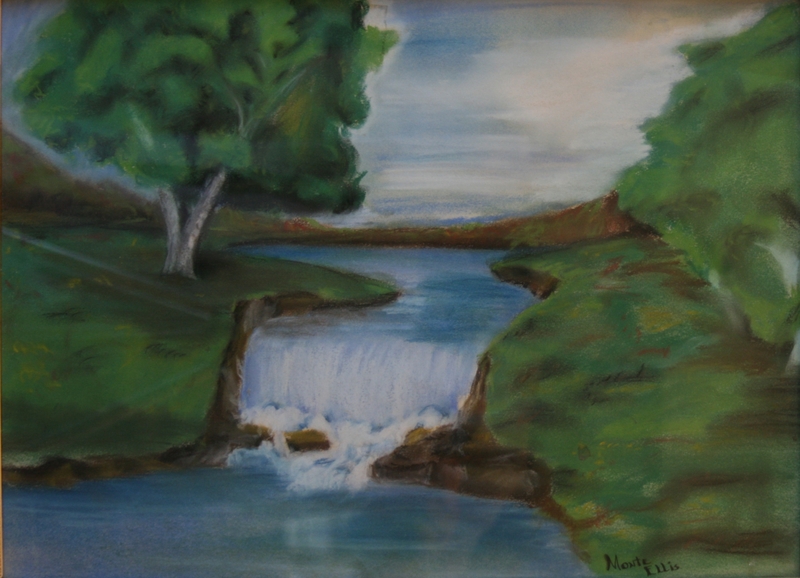 From an early age, the ability exhibited toward the creation of art must have been obviously noticed. 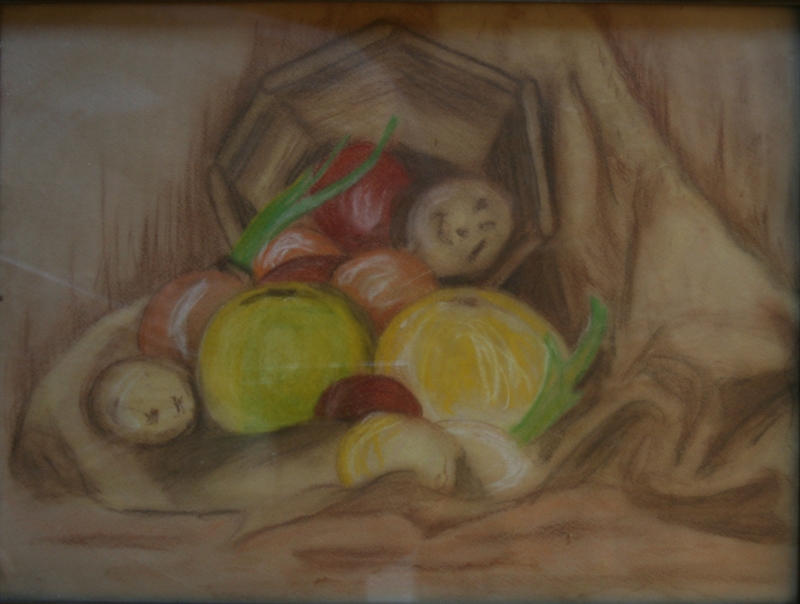 Some pieces given to a loving Mother and proudly displayed by that Mother, would later be seen with harsh criticism, even when known these pieces were created at a very young age by the artist. Oddly, these early pieces exhibited a level of quality most people would be satisfied with, but not Monte. As mentioned earlier, Monte often would offer to trade his Mother pieces created much later if she would only return his early work. Each time she refused, it being clear these pieces he so badly wanted returned meant a great deal to her. One can only imagine what it must have been like for people who mentored Monte to realize the talent he possessed and the promise he held within his fingers. Through his life, he would talk about people he had encountered that held his interest when it came to creativity and art. One was a man Monte’s age named Frank. For a time, he and Monte shared an apartment together and had hopes to pool their talents together to earn a living. 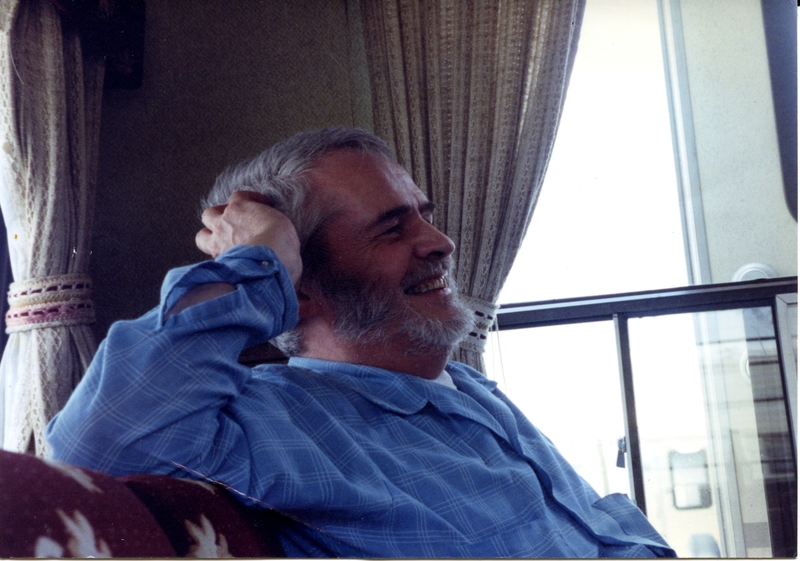 Frank was an interesting person, also with artistic talent, who Monte was very fond of, but in later years developed a host of mental issues, which Monte believed was due to Frank’s time in Vietnam. When a young man, Monte met and married Sharyl Strode. As mentioned earlier, if not for Sharyl, her support and gracious acceptance of Monte, his arrogance and penchant for a selfish. bohemian lifestyle, his artistic pursuits would have been much more difficult. 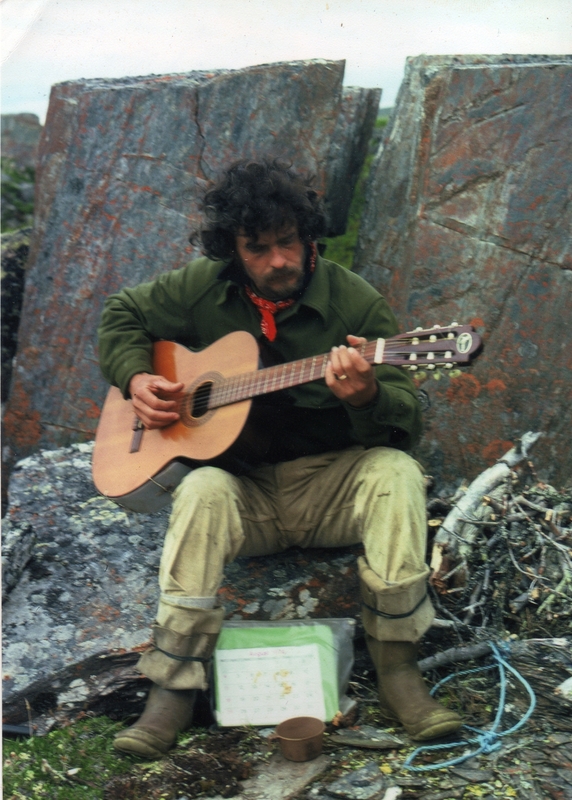 Monte grew up in a family culture of outdoors men. Within his family, a number of them worked at a private hunting and fishing club deep in the Illinois river bottoms. 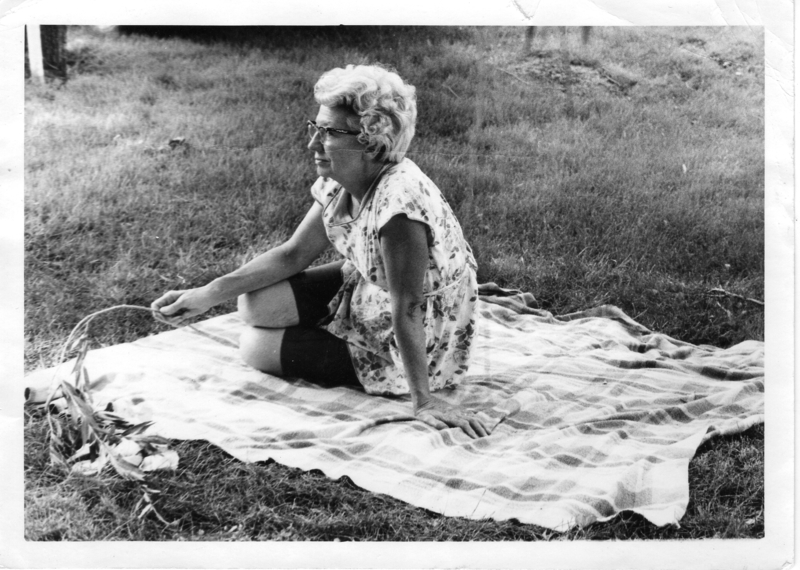 Zelma Ellis, Monte’s mother, would cook meals for this private club, while Monte, his brothers and other friends, “pushed” hunters during duck hunting season. Of those that hunted at this private club, some possessed qualities of a less refined nature, most likely due to their self-perceived higher station in life. During private moments with his family, one recollection Monte would recall was how one disgusting hunter once painfully pinched one of his Mothers’ breasts. This is only mentioned because Monte’s retelling of this incident clearly was a reflection of how it influenced his emerging thoughts on wealth and the power people held. 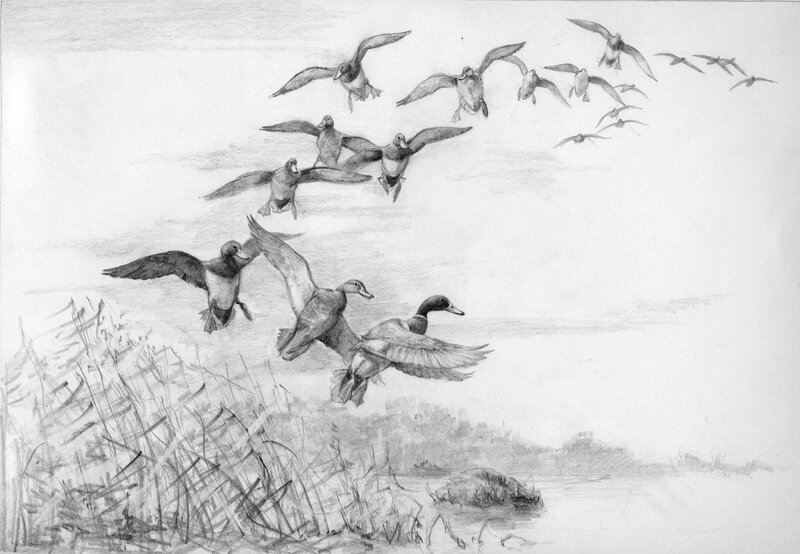 In these early ears, rather than possessing a fondness for hunting, it would probably be more accurate to describe Monte as having a fondness for the culture of the outdoors and what came along with this aspect of masculinity. It was not necessarily the hunting he enjoyed, but of the other combined parts of the out of doors culture. During this time, the owners saw something they must have liked in Monte and hired him as the site manager of the private hunting and fishing club. He held this position from 1965 until 1975. Years later, after Monte’s death, one of Monte’s long time friends was quizzed over how owners of a private hunting and fishing lodge could have ever selected Monte as the site manager knowing of his fondness for nature that was living. The reply was along the lines of one of the wealthy brothers and Monte thought a lot alike when it came to nature and its wildlife. 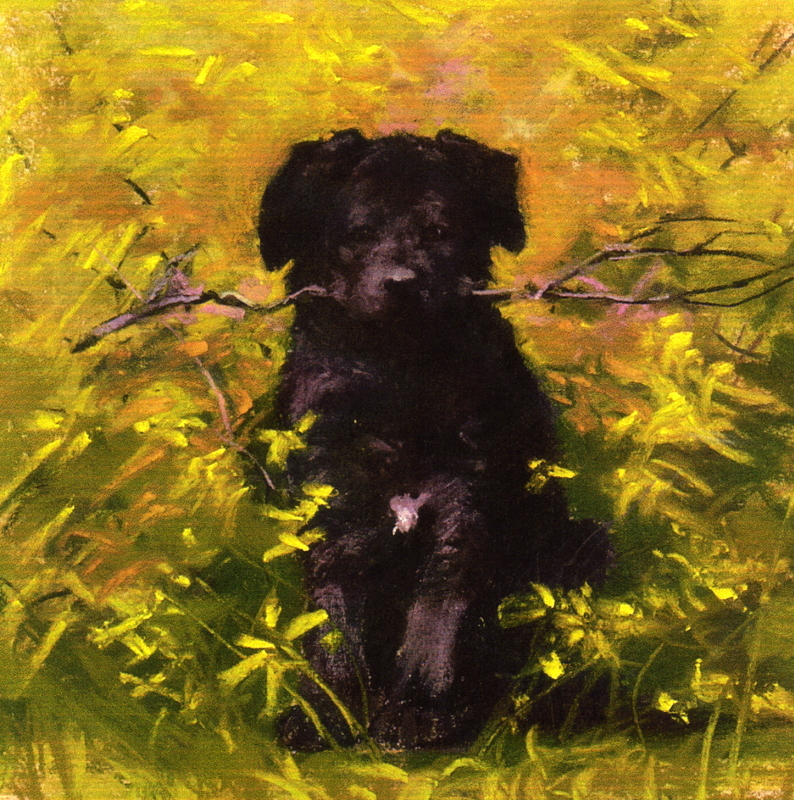 Monte’s own artistic growth mostly came from his own personal study and development. An examination of his previously posted pieces will illustrate a changing style through his pieces. Some pieces most likely feature aspects of commonly observed common styles of the given time period, but in comments by Monte, his expressed his goal was to create art as saw and perceived things. 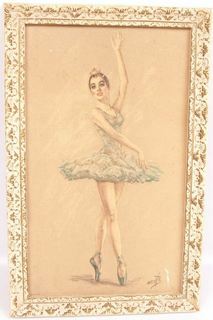 People often seemed to express surprise when it was learned Monte’s artistic skills included everything from pencils, inks, oil panting, water colors, acrylics, pastels and sculptures. In a short interview with Lou Reed near the end of his own life, he talks about sound & music. It is a very fascinating interview & his comments are similar to how Monte would talk about his art. Monte would comment about how he “saw” things, but often times he lacked the words to aptly describe how he saw things. Some times, he simply could not put into words descriptors that could allow others to understand how he “saw” imagerys. It was previously pointed out, one time in the late 1980’s or early 1990’s, Monte encountered a young, freelance wildlife photographer who had images of his published in National Geographic magazine. Monte had seen one image & something about that image did not ring true with Monte’s mind. Though it can’t be recalled what it was, Monte had been informed that some sort of computer tweaking had been done to this image. That is how Monte “saw” imagery, but could not explain it well. It’s similar to how Lou Reed talks about sound in this short interview, but in this interview, he explains sound pretty well. Below are two illustrations by Monte. In an earlier posting of deer illustrations, two images were posted to provide an example of his creative mind when it came to producing illustrations of subject matter he had observed in his life. 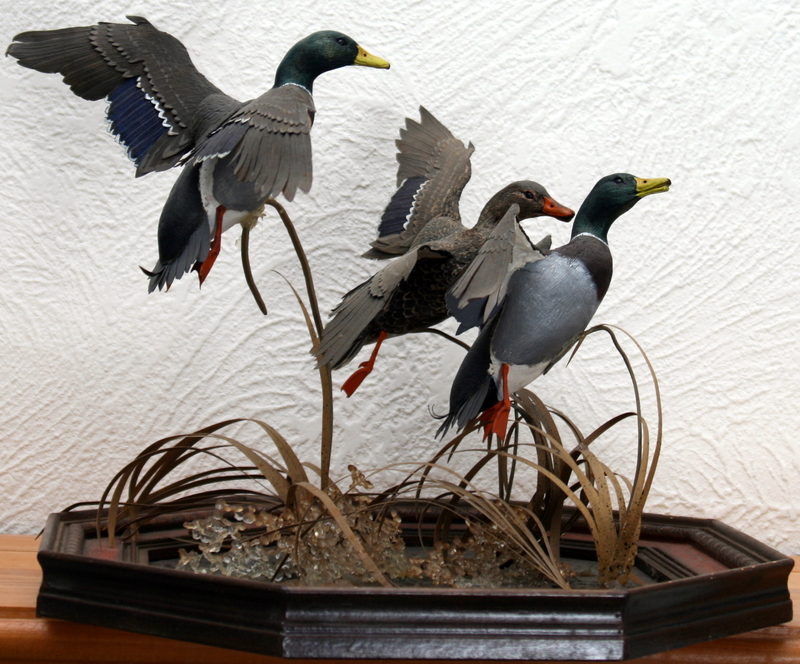 As pointed out before, and it bears repeating, Monte commented on how a great deal of his creative artwork was based on items he had directly observed in nature with his own eyes. 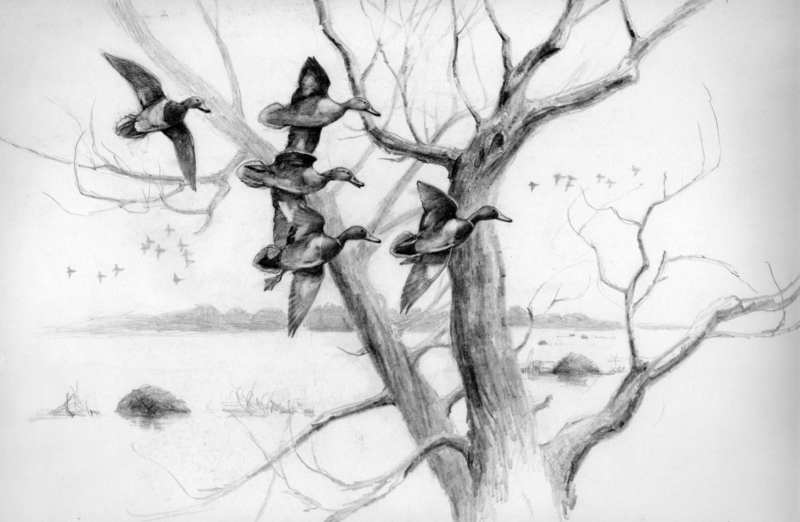 In the two illustrations of Mallard ducks in flight, both include a leafless willow tree, muskrat dens and other waterfowl in the background. Because Monte was known to make changes to his illustrations, at first glance, these two illustrations appear to be the same illustration, only that one is more refined than the other. On closer examination, while very surprising similarities can be observed, it can be determined these are two different illustrations. 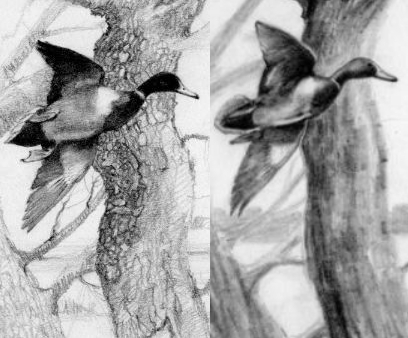 Below is a side by side comparison of a Mallard duck from each illustration. Note the difference in the shape of the heads, the position of the feet and the difference in the lower wings. There are even differences in the branches of the trees. Still, the imagery is very similar. 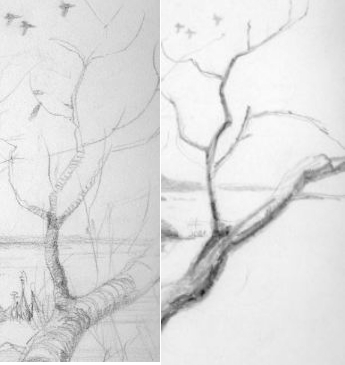 Below is a side by side comparison of a tree branch from each illustration. Again, while both are uncannily similar, both are different in many aspects. It is almost as if Monte’s mind would take a snapshot of images in nature, then file it way for later recall and recall with stunning detail.